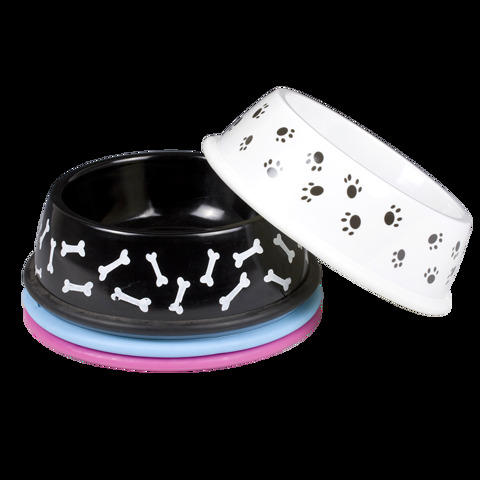 Pet Bowl Non-Slip Melamine 400Ml. 21.5 x 6.5cm l Volume 400mL. Pink + White | Blue + White | Black + White | White + Black. Paw And Bone Prints. 30% Melamine | 70% Urea. 220G Packaging: Bulk Pack.